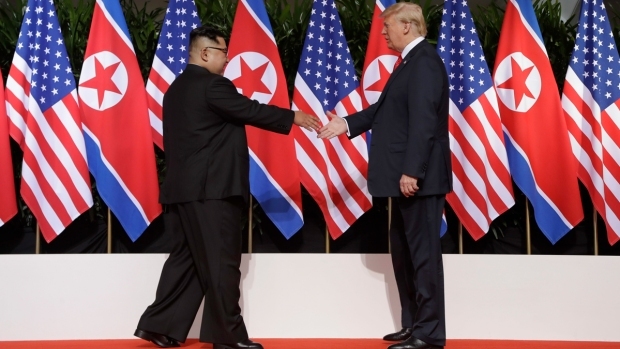 South Koreans cheered, Japanese snapped up a newspaper special edition and China made a suggestion Donald Trump may not like as the U.S. president held an unprecedented summit Tuesday with the leader of North Korea. Trump said at a post-summit news conference that he has held off from imposing additional sanctions, but that the U.S. would remove sanctions that are in place when the North's nuclear weapons "are no longer a factor." He also announcing the stoppage of U.S.-South Korean annual war games that have long been defended as defensive and vital by the allies. 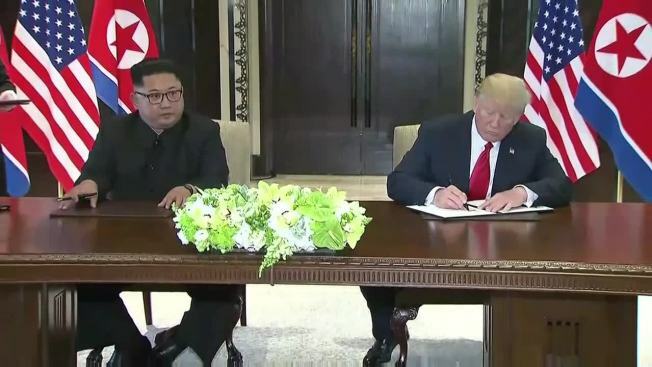 After the meeting, Moon said in a statement that the summit opens a new era of peace and cooperation. The statement did not address Trump's comments about the drills. Seoul's presidential office told the Associated Press that it was trying to discern the exact meaning and intent of Trump's comments. Associated Press journalists Jung-yoon Kim, Mari Yamaguchi, Kaori Hitomi, Chris Bodeen, Shanshan Wang and Gambrell contributed to this report.